The shock that went through the country one year ago following the murder of the Fogel family instilled many with the will to commemorate the five victims. The last year has seen at least 20 babies become the namesakes of the late Udi, Ruthie, Yoav, Elad and Hadas Fogel. "People keep calling us to tell us of another baby boy or girl," says Tali Ben-Yishai, Ruthie's mother. The perpetual commemoration keeps growing stronger." Of the 20 babies, five were born to the extended Ben-Yishai family, five were born to Itamar residents and at least 10 babies were born throughout the country – mostly to people who didn't even know the Fogels but decided they could not remain indifferent. The first baby, Yair Silver from Itamar, was born three days before the massacre. Ruthie Fogel was the one who helped his mother Chana recuperate after giving birth. 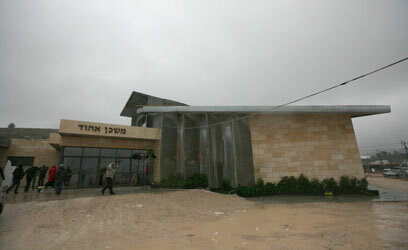 After the massacre Chana decided to name her son Yair – using the Hebrew initials from Yoav, Elad, Udi and Ruthie's names. "There is no consolation for what we lost, but each of these new babies show that our children have left a mark, meaning, and strength," said Tali Ben-Yishai. Meanwhile, on Wednesday the anniversary of the brutal massacre of the Fogel family was marked with a special ceremony in Itamar. Among those attending were Knesset Speaker Reuven Rivlin, Interior Minister Eli Yishai, senior IDF officers, Knesset members, rabbis and hundreds of civilians. 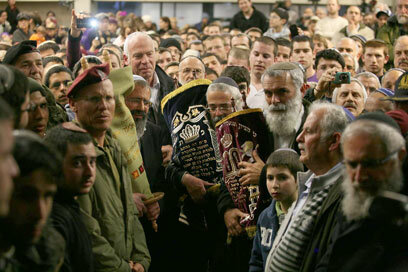 A Torah scroll was be brought into Mishkan Ehud, the new beit midrash inaugurated in memory of the family. President Shimon Peres sent a letter of condolence to the family in which he wrote: "The year that has passed since that shocking day cannot dull, even a little, the awful pain, the yearning and the sorrow." The president added that "the massacre victims' legacy to us is one of life that makes our existence as a nation possible." See all talkbacks "Itamar Massacre: Fogel names live on"